SRE, DevOps, building PaaS with Linux and Open Source Software. Providing solutions people rely on. 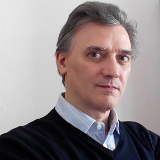 I am an Italian with almost thirty years in Information Technology who lived for many years in Ireland and currently based in Spain since 2004. I worked in development and system administration well before they merged into what we now call SRE or DevOps. I started using Linux in the early 90s, since then I dedicated my free time to do Open Source evangelization, by organizing training and speeches, to let people aware about FOSS in general and Linux in particular. Also, I have been involved in the Plone community as maintainer of Plone.es, the oficial site for the Spanish speaking Plone community. As I am specialized in both Linux System Administration and Web Development by using open source tools and open standards, in the year 2004 I decided to found K-Gigas Computers, an IT services provider based in Cantabria, Northern Spain, with the aim to provide reliable open source solutions to our customers. Currently, I am working as SRE Team Leader with the BBVA PaaS Core team.